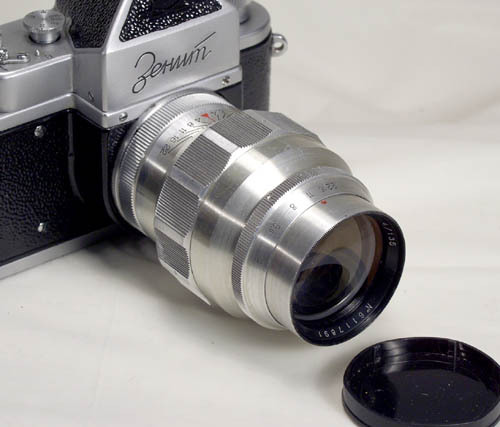 This Industar-50 is the newer, rigid barrel design used on the Zorki-4, Zorki-5, Zorki-6 and Mir. 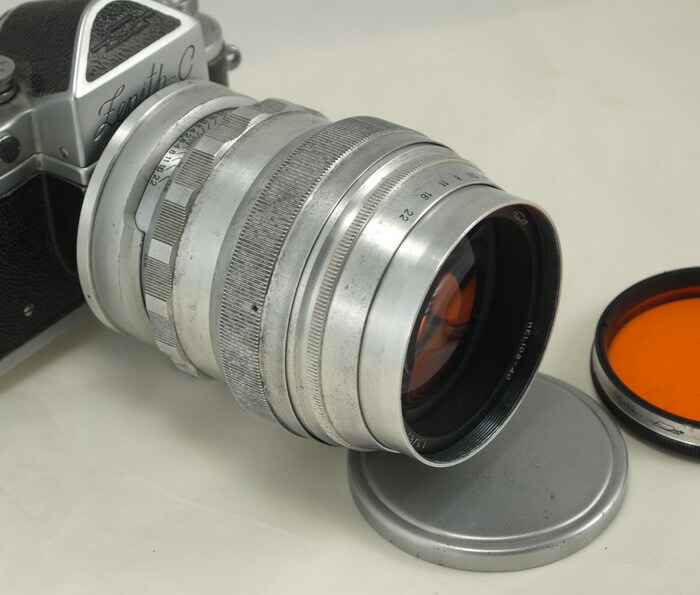 The lens was made in 1959 by KMZ plant. 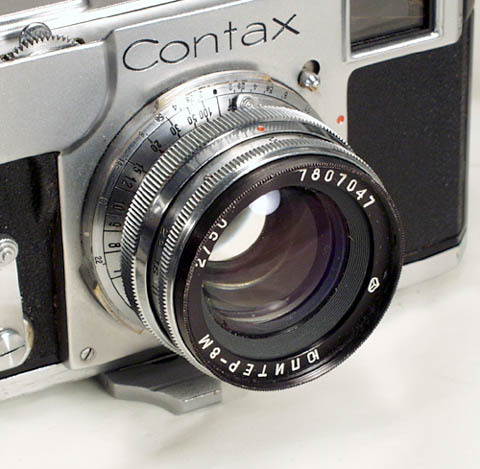 Focal length: 50 mm, coated glass, chrome finish. 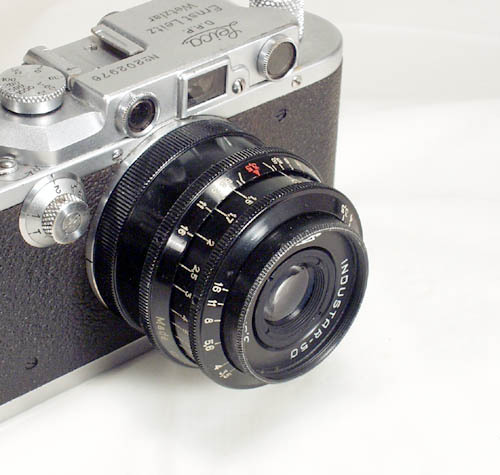 Maximum aperture - 1:3.5 (settings from 3.5 to 16). 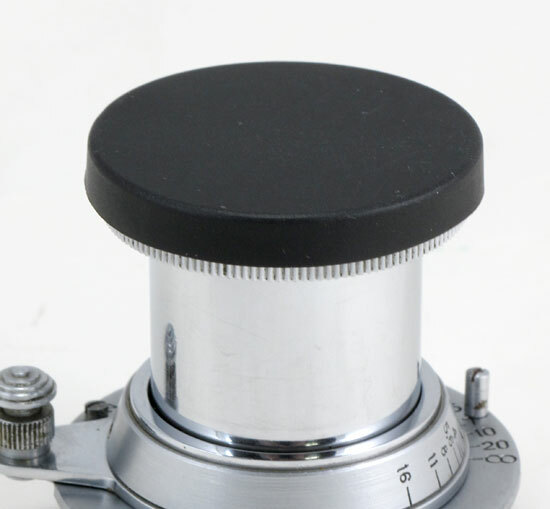 The lens couples with a RF of any threadmount Leica or Leica copy. The glass is clear and clean, the finish is clean overall, there are several blemishes on the chrome coating. 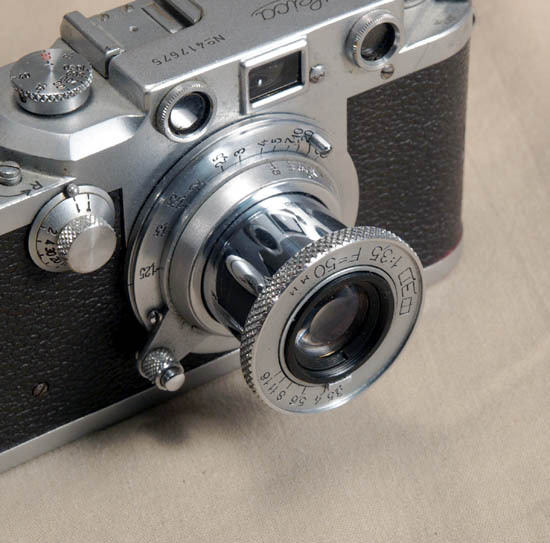 Focusing and aperture are smooth. 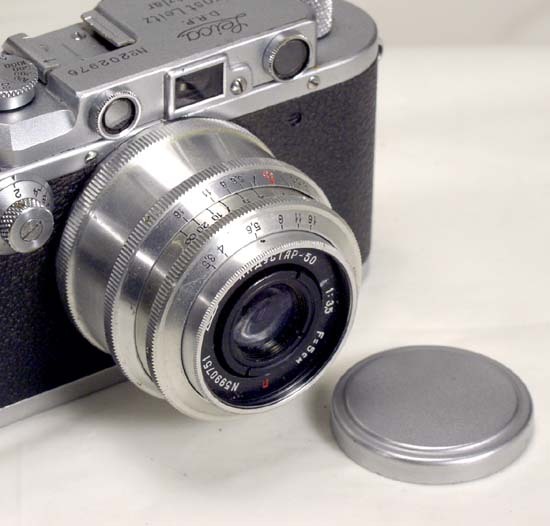 The Industar-50 is shown mounted on a Leica IIIa (not included). 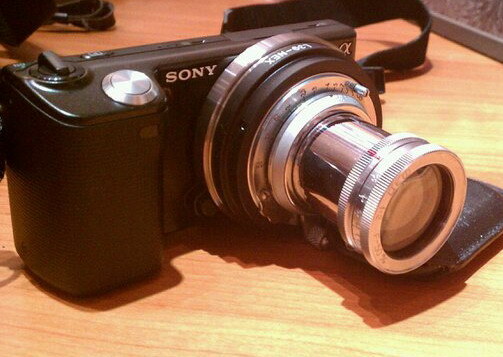 It comes with a metal lenscap.